"At the District Court. Private Barnes of the Metropolitan Police with "
At the District Court. 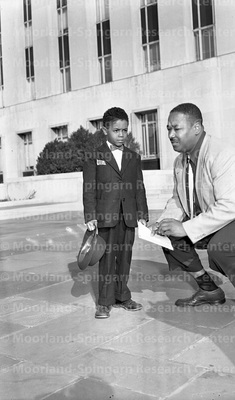 Private Barnes of the Metropolitan Police with his son, charged with killing a colored truck driver. October 1955.